2016 is just around the corner and has another year gone by with you resolving to make some healthier changes to your lifestyle but somehow things just got busy. We all have 24 hours in a day and if you don’t take care of your health, then the hospital will have to take care of you! We have helped many people incorporate exercise and better eating habits into their lives without having to live in the gym for hours on end or spending hours each day cooking and preparing meals. For many of our clients, they have seen great success working out from home. Consistency in healthy eating and regular exercise pays off in big dividends in a short amount of time. Many of our clients who are consistent with their eating and exercise regimen are seeing and feeling results within 3 weeks! 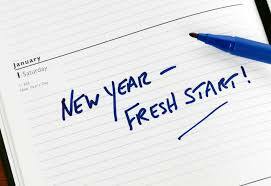 Let us help you get to that “happy new you” in 2016! We work with weight loss clients, osteoarthritic clients, post- surgical clients (hip, knee, back and shoulder), seniors and adults who may be new to weight training. We also work with those who want to increase their muscle mass and bone density while decreasing body fat. We have several athletes we work with to keep them in top shape for their sport, such as marathon running, hockey, curling and soccer. We do many types of fitness training such as strength training with dumbbells and kettlebells, HIIT training intervals with body weight and resistance, TRX training, circuit training, medicine ball and stability ball training, core training, resistance bands training, agility, flexibility and balance training. We offer all new clients a FREE 1-hour consult to discuss your health goals. We have day time, evening and weekend spaces available for booking fitness and nutrition sessions. Email Michelle at michelle@agelessfitness.ca for more information. We have seen excellent results in our clients who train within their own homes or their chosen gym facility in the city. Please check out the "Testimonials" section to see what our clients have said about us! At the core of our beliefs, is the fact that if you are 85% compliant with eating healthy and whole foods, that you will see and feel changes within 3 weeks. Proper nutrition works in concert with a regular exercise regimen and in order to reach your goals, you need to get your food working for you so that you have energy to fuel your fitness workouts and see results quicker. If you are not seeking nutrition coaching at all, we are happy to work with you on fitness training only. We offer a reasonably priced and comprehensive nutrition session package which will help you to achieve your goals even faster when you partner whole foods, a simple food plan and our nutrition workshops with shortcuts and tips to save you time preparing your food.